This event is FREE and SPACE IS LIMITED. Register Now! You’re invited to connect with other public innovators* interested in moving Delmarva forward as a thriving region. 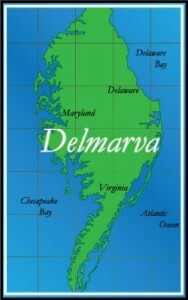 Delmarva: A Region of Possibilities is NOT a regional planning exercise, but a gathering designed to build regional relationships and networks. Participants will spend the day networking, sharing aspirations, and collaborating on actions they will take to make Delmarva prosper. Anyone attending will be expected to cause, or contribute to, something big or small that advances Delmarva as a thriving economic region. Don’t come to listen, come to act.